NOTE1 Since these handbags are made of cow leather, the existing of smell should be allowed. NOTE2 Due to different producing batches, there may be deviation of 0.04–0.12 inches for items. 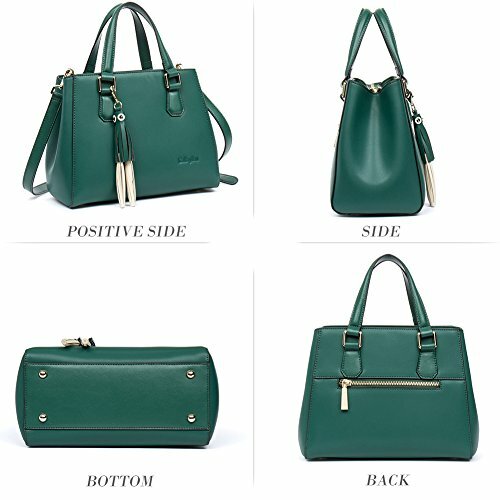 [DURABLE MATERIAL]: Outer material is Cowhide Split Leather + Synthetic Leather, and lining material is Fabric. Handle material is Synthetic Leather. 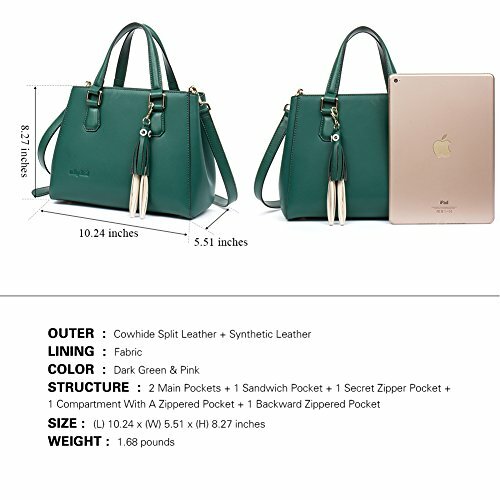 [PRACTICAL HANDBAG STRUCTURE]: 2 main pockets + 1 sandwich pocket + 1 secret zipper pocket + 1 compartment with a zippered pocket + 1 backward zippered pocket. 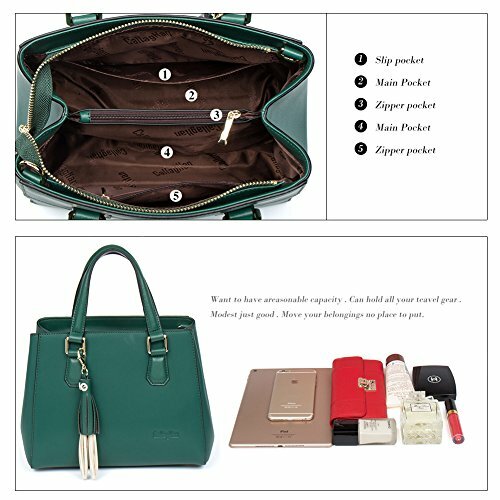 Large capacity handbags will keep your trivial things in order, which is apt to store long wallets, cell phones, triple folding umbrellas and other tiny daily gadgets. [HIGH-END HARDWARE & LINING &CLOSURE]: Classic pale gold hardware combined with fabric lining makes up pretty and trendy handbags for you.Zippered opening closure. [VERSATILE APPLICATION]: Two carry ways, top hand and single shoulder. Stylish and simple appearance makes it particularly suitable for formal occasions,business,shopping and traveling. [DIMENSIOINS & WEIGHTS]:(L) 10.24 x (W) 5.51 x (H) 8.27 inches, 1.69 pounds. 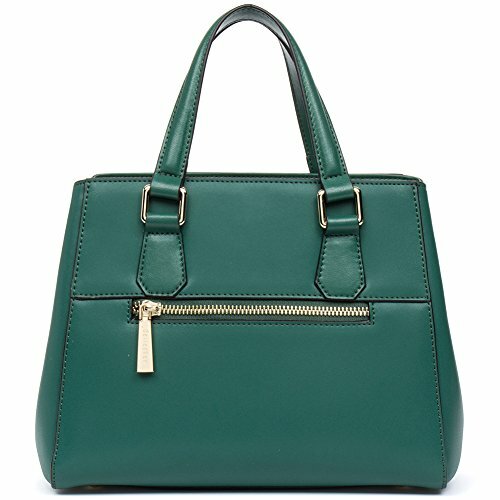 This lightweight handbag is easy to carry.